Rolf Suey - Better Late Than Never: Otto Marine - Is Price Cheap Enough Now? Otto Marine Limited (SGX: G4F) “Otto” is an offshore marine company that engaged in shipbuilding, ship repair, conversion and fabrication, ship chartering, and specialized services. The company owns/operates a fleet of 60 offshore vessels as well as one of the largest shipyards in Batam, Indonesia. Otto Marine trades at 52 weeks low of 5.3Sc today. This price is almost 50% off its high of 9.8Sc this year. 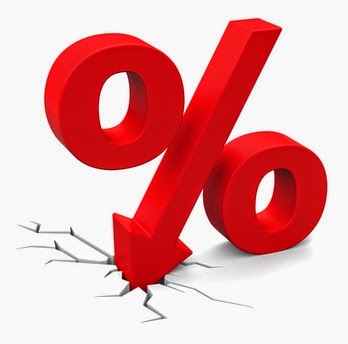 Current price is also close to 40% discount its book value. Otto’s Market cap is S$230mil. The company sees red in its bottomline in FY11 and FY12, but managed to reverse losses into profit last year, recording a net profit of US$15.9 mil (~S$20mil). Based on current price, it translates to a PE of 11.5. First half net profit this year was US$2.6 mil. Is this a good time to accumulate? “You have to know what you own and why you own it”! Therefore let’s get to know more about this company as follows. From 2005 to 2008, oil price was rising and Offshore and Marine / ship building market enjoyed one of their best years. Demand for new ships outpaced supply and buyers need to queue and wait. Premium pricing for urgent short delivery vessel buy is widespread. Due to this reason, Otto started speculating vessels which means build before receiving charter or buyer contract. It can be referred to Build to Stock (BTS) Model where Jaya Holdings and Nam Cheong were not new to it either. Otto BTS vessels can be as many as 20-30 vessels a year then, with vessels either built in their own Batam yard or subcontract to Chinese yards. During the crunch, Otto’s BTS vessels under construction were suddenly not having potential buyers. Even vessels with buyers were in the face of cancellation or postponement. One reason is due to Buyers were speculators themselves with no contract with Oil Companies. Things could not get more worst with banks and suppliers start seeking for repayments in a period surrounded by fear. Unlike Nam Cheong, Otto BTS model has more diversified vessels subcontracting in different yards in China. Having said that, the company's main burden for the past few years may not necessarily be derived from the BTS model. Instead it is one of the Build To Order (BTO) contracts involving four VS491CD ultra large AHTS contracted before the crisis at an approx. value of US$320mil. In 2007, Norwegian company Mosvold Supply contracted Otto for 4 Ultra-Large AHTS Vessels to be built in Otto’s Batam yard. Each vessel was valued US77mil and more. The period of global financial agony, saw Mosvold claiming that Otto delayed the vessel deliveries. This led to Mosvold cancelled all vessels from May 2010 to Feb 2012. Subsequently Mosvold received the full refund of installments paid including interest, by calling on the refund guarantees. According to the contract, Mosvold is entitled to do that. The cancellations together with impairment of goodwill for distressed subsidiary Reflect Geophysical contributed to the Net Loss of US$56.1mil and US$113.7mil in 2011 and 2012 respectively. As of Sep last year, Otto announced that they had reached an amicable settlement with Mosvold with both agreed to settle without admission of liability and on a confidential basis. Otto’s 4x VS491CD are H7047/48/49/50. From its website, you can identify that 7048 and 7049 are on charter. H7047 is completed End of 2013, while H7050 will be available within this year (website typo error states 1Q2013). The first VS491CD vessel also reported to have completed the rig move of one of the largest rigs in the region for an oil major last year. The second vessel secures a charter contract early this year to work in North sea for a deal of US$40mil for an undisclosed period under term contract. Both vessels on charter were actually on Sale and Lease Back agreements announced in July 2013. Each vessel was valued at US$85 mil for a total of US$170 mil. The new owner is undisclosed renowned 3rd party in Batam (stated in their website announcement) while Charterer will be Otto Marine for a period of 8 years. On Nov 2013, Otto entered into a MOA (no legal binding) to sell the third vessel to PT GO Marine, which is owned 49% by Otto. Value of the deal is US$95 mil. Early this year, Otto also announced that the third vessel has secured term contract in North Sea for an undisclosed period. The deal is valued ~US$40mil including options. For now, it seems that 3/4 of the woes had been resolved! Below picture show VS491CD Ultra Large AHTS vessls from Norwegian ship owner Siem Offshore - Otto Marine competitor. Siem offshore is one of the largest owners of VS491CD AHTS. 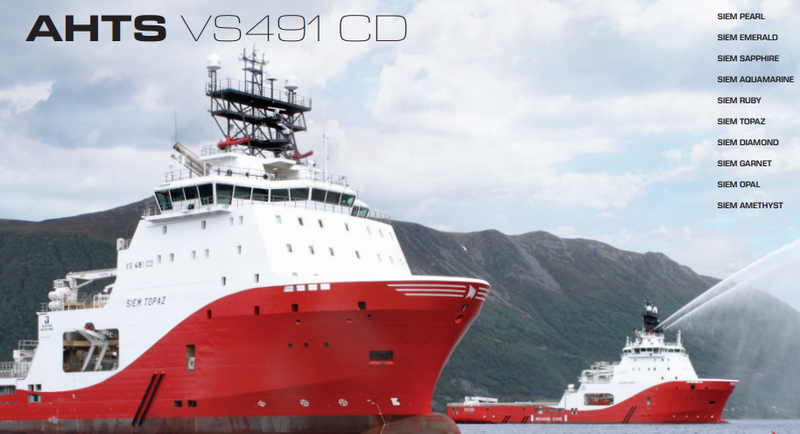 You can also find more information about VS491CD AHTS vessel here. One of the critical equipment for its operation is the Anchor Handling Towing Winch located at the mid main deck of the vessel. Otto reversed losses of US$113.7mil in 2012 to record a net profit of US$15.9mil in 2013. For more about Otto’s 2013 financial performance, please refer to article from Motley Fool here. For 1H-14 presentation slide please refer to here. In general I am neutral on Otto Marine. Below is my Pros and Cons take. Price at 52 weeks low with book discount of 40%. Turnaround profit in 2013 reversing losses in two years before. Transformation of business from shipyard to chartering, contributing 66% of 1H14 revenue. Positive operating cashflow since FY2012. Generate US$115mil op cashflow in FY13. Order backlog of >US$400mil + AUD57mil announced lately. Opportunity in the subsea segment having appointed UOB Kay Hian to evaluate strategic options to grow its Subsea Service Division. Growing net debt position from US$447 (end-13) to 523mil (1H-14). Just issued S$70mil 7% fixed notes due in 2016. Sale and Lease back deal of the Ultra-large AHTS not very transparent. Non-transparency in its charter contract period for the Ultra Large AHTS. This is important because at any one time if these vessels are off hire, idle fees may pile up. Otto’s Ultra Large AHTS are new in the market. Lack proven operational track records to back its bid for more new contracts against its competition. It pays to also analyze Otto’s peers such as ASL, Marco Polo, Nam Cheong, Swissco, Vallianz, Pacific Radiance, POSH, EMAS to have a more balance analysis too. Nam Cheong - What you need to know before investing in it?